Vallejo Scenics, is a new range with an initial selection of 6 diorama bases for the setting of figures and vehicles in scale 1/35. The bases are precast in a novel and exclusive type of lightweight resin, which has a matte white finish, is easy to cut and adapt to different sizes, and permits sanding and painting as well as any further weathering processes. The first six references now available can be used as a simple bases or can be further enriched with shrubbery, trees, telegraph posts, street lights, military equipment and figures, or with sections of ruined walls and buildings, using as many complements as considered right for the scenery suggested. 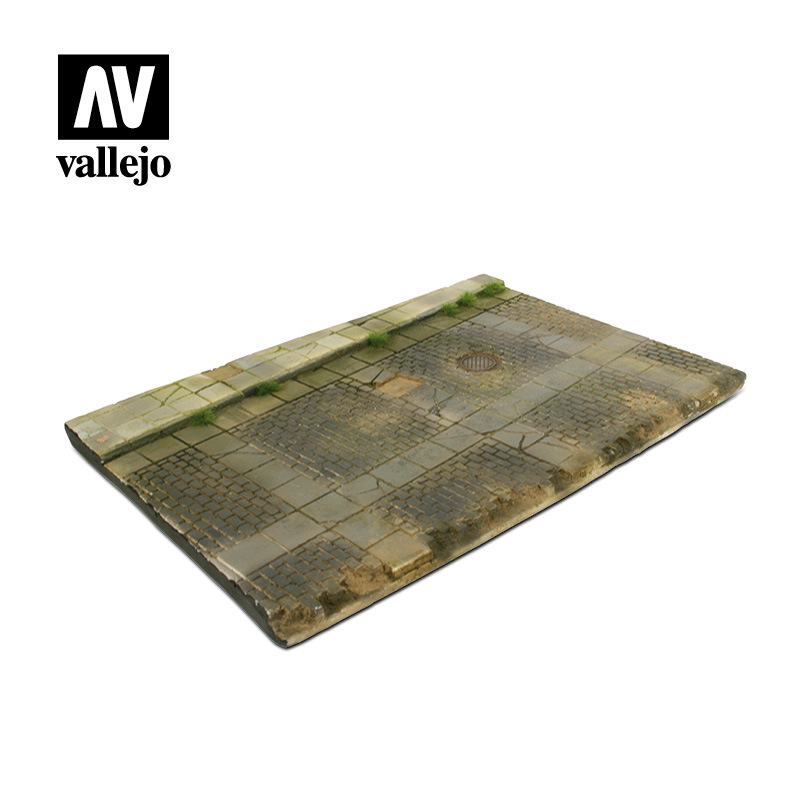 An ideal base for placing a vehicle in 1/35 size, for cars and small or medium size tanks, motorcycles or figures, civilian as well as military, and for complementing these with a series of details such as undergrowth, street lights or telegraph poles. 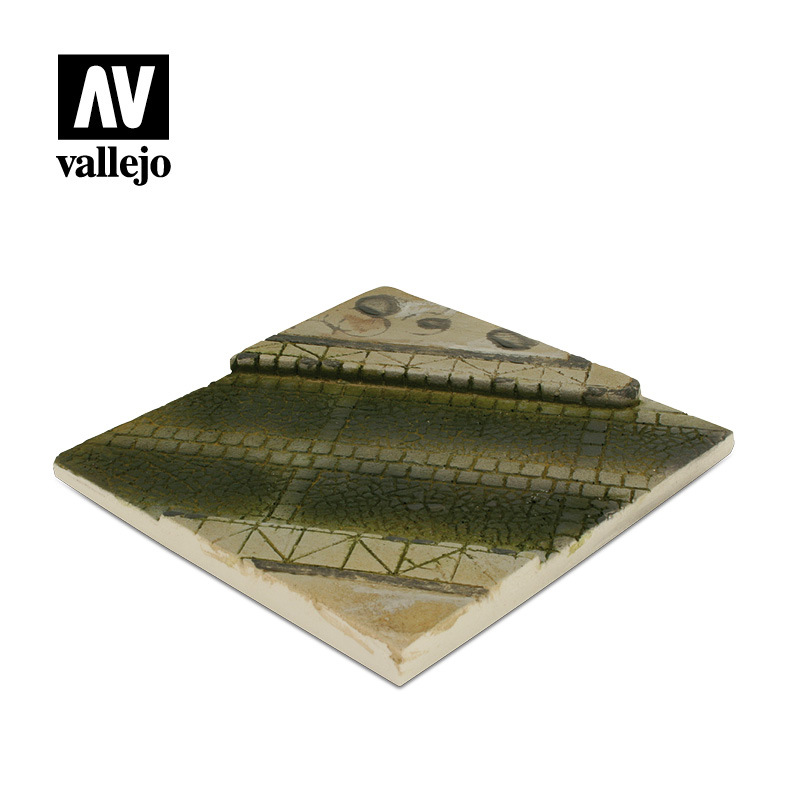 Scenic Base supplied unpainted, 14×14 cm./5,51×5,51 in. Section of road, cleared amidst ruins, appropriate for placing the remains of a destroyed vehicle, perhaps accompanied by figures and troops in movement, or with science fiction or fantasy themes, any of these can be situated in this environment while the modeler ads as many details as considered suitable and in context. 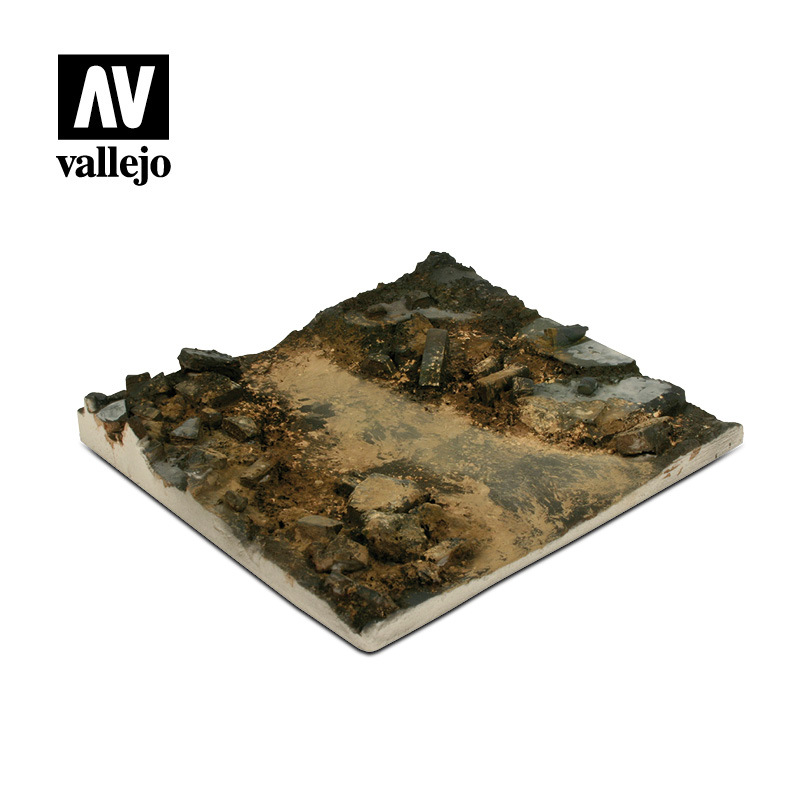 Scenic Base supplied unpainted, 14×14 cm./5,51×5,51 in. The base represents an actual site in a village in Normandy with a large amount of details and is the perfect setting for placing figures and light vehicles. 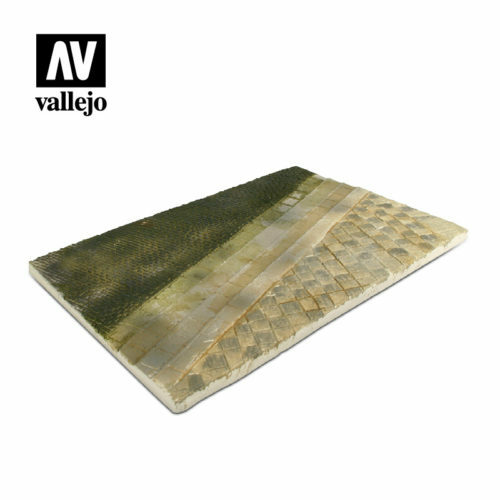 The Paved Street base allows for different finishes to suggest the different materials which may constitute the paving in a city. 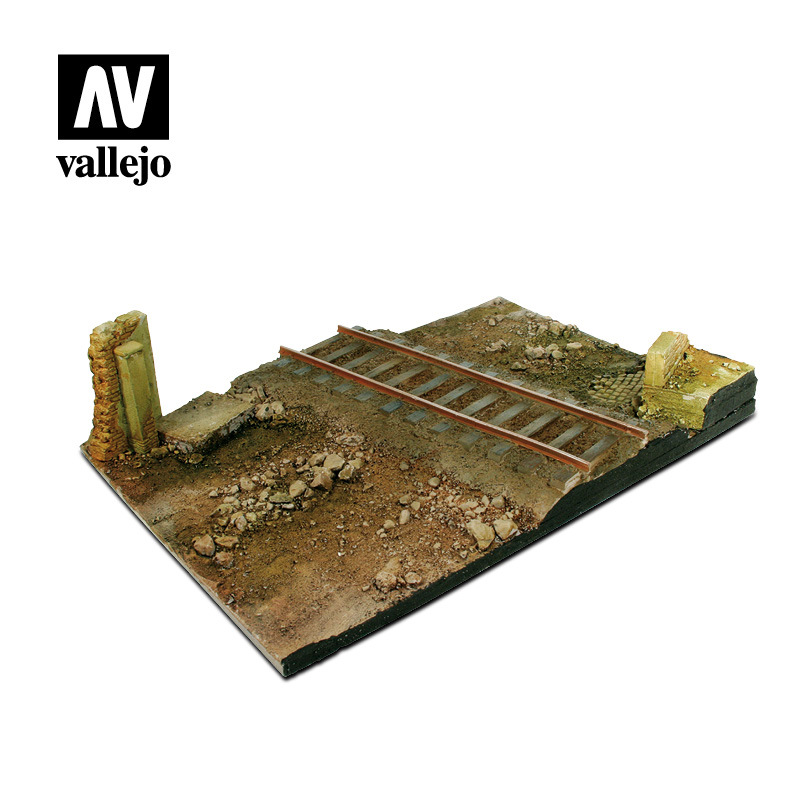 The street section can be enriched with different architectural elements, such as a fence or a wall, a house or the ruins of a structure, and with details such as street lights or telegraph poles, according to the modeler’s criteria. Scenic Base supplied unpainted, 31×21 cm./12,20×8,26 in. 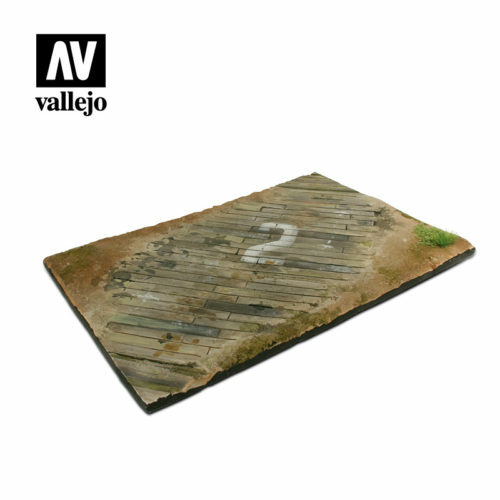 This base, an improvised section of wooden planks, is a landing area for aircraft in 1/48 scale which also permits the placement of any type of vehicle in scale 1/35. The base has the texture of weathered wood, as well as an area of ground next to the wood surface. Scenic Base supplied unpainted, 31×21 cm./12,20×8,26 in. A base for city environment which shows a cobblestone pavement with realistic details. 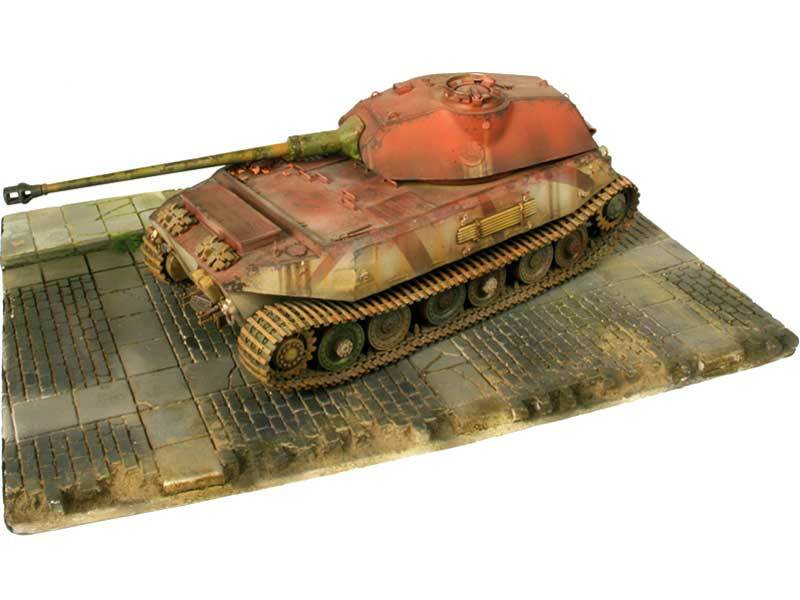 The size of this street allows for the placement of the model of a tank, of various light vehicles or of a combination of models to create a complete scene. Scenic Base supplied unpainted, 31×21 cm./12,20×8,26 in. With details of high quality, this base offers many possibilities. The irregular features of the terrain, the level of the railroad tracks and the stones in the road form a perfectly natural terrain. Scenic base supplied unassembled. The base features the corner of a loading platform and the remains of a wall. Scenic Base supplied unpainted, 31×21 cm./12,20×8,26 in. Cobblestone country road with earth shoulders on both sides, where walls of stone or bricks could be placed, as well as traffic signs, trees, figures or vehicles. Front view of a factory, complete with metal doors and with a high level of details in the textures of the side walls, perfect for placement on a base together with vehicles and figures. Section of a French village street, with a high level of detail in the texture of the side walls; the perfect setting for the placement of vehicles, as well as figures and accessories. Wooden door of country village construction with vertical supports for a horizontal metal sign, allowing for multiple different finishes. Section of a wall constructed with dry stone and buttresses, as can be seen in the rural areas of France such as the Ardennes, Bretagne and Normandy, as well as in other regions of Central Europa. Section of wall constructed with dry stone and reinforced buttresses, as can be seen in the rural areas of North of France, Normandy and Bretagne, as well as in other regions of Central Europe. Four German fuel drums with screw caps on the side for easy storage and transportation, in military use during WWII. Four German fuel drums with screw caps on the top, in military use during WWII for fuel storage and transportation. Four fuel drums with reinforced lids and upper caps, of civilian and military use for storage of heavy oils, petrol and fuel. The design of the drums facilitated their transport and storage.